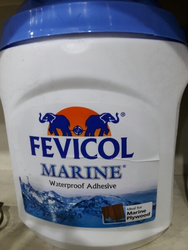 We are providing a wide range of Water Based Adhesives to our valuable customers. Water base adhesives are able to bond difficult-to-bond substrates such as plastic films, coated papers, etc. We are engaged in offering Silicone Water Proof Adhesive, which is extremely praised in the market. Owing to high demand, professionals make these products in varied patterns. Keeping track with market development, we are involved in offering our clients water base emulsion. Banking on the proficiency of devoted team, we are readily engaged in the realm of offering a wide gamut of Water Based Adhesives. Water Based Adhesives for Membrane Door Manufacturers.